Colombus did it. That is when French fries and ketchup started, almost. But that was before the understanding of plant diseases. Although you may crave bringing back home citrus plant material from your awesome trip in Japan, you are fooling yourself and your destination's ecosystem. Read this and come back here. Shunning at regulations is not only legally problematic, it is the equivalent of bringing back home a USB memory key loaded with a nasty something inside. CTV guaranteed. Don't do it. Enjoy locally. If not enough, come back. 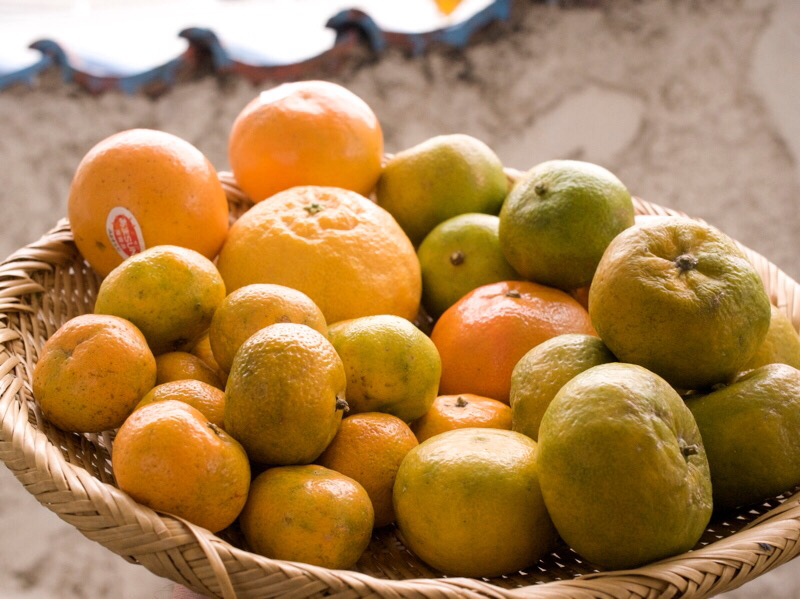 On the picture: a lovely mix of citrus from Okinawa.